Only BMW trained technicians will perform repairs on your BMW. We utilize BMW techniques, tools, and technologies, including equipment designed from vehicle blueprints for pinpoint accuracy. All Structural repairs require precise equipment to not only measure the damage but also to reconstruct your vehicle back to 100% of BMW’s factory standards. Your BMW, manufactured for the ultimate driving experience was built with unrivaled engineering and materials. With performance and your safety in mind, your BMW’s individual structural parts and components all serve an exact purpose. 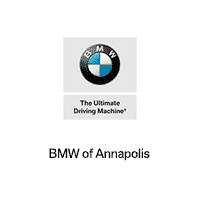 Here at BMW of Annapolis Collision Repair Center, we will restore your vehicle to its original specifications using the precise methods and procedures that BMW requires.